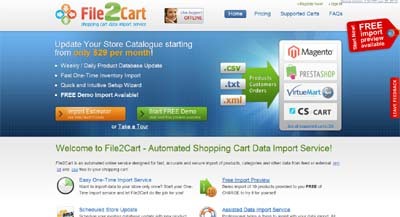 As File2Cart is SaaS no software is required. The import is done quickly and accurately. The service provides Assisted Import when all you need is to provide data file and access to the store. Customized Import deals with different store configurations. The service provides not only one-time import. You can use scheduled data update option and set the exact hours of the import. File2Cart saves time, money and efforts of merchants.